Withins Skyline – 68 mini fell runners took part in the Junior race, 18 from CV. In a tightly contested finish, CV’s young Harry Cliff won the U9s by less than 1 second with his team mates Joseph Stone and Leo Hackett finishing a few second behind him and securing 3rd and 4th place respectively. 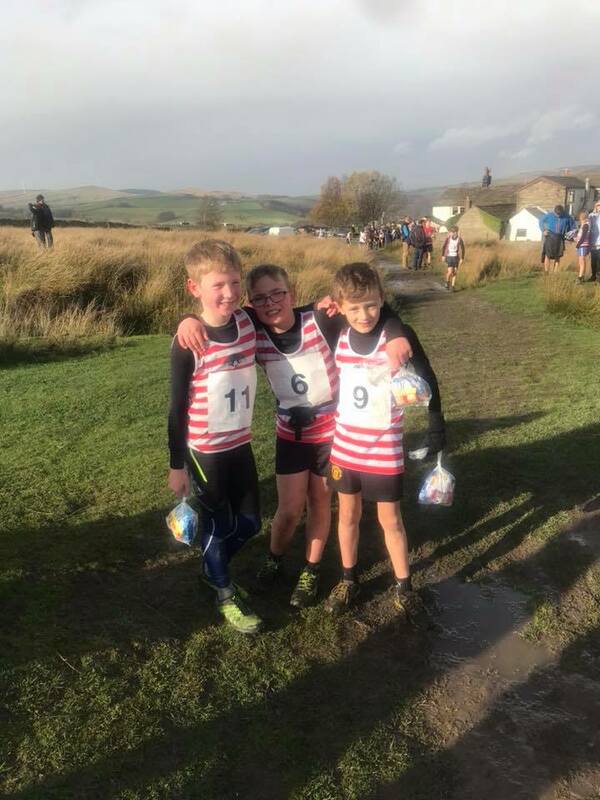 The U11s saw 3 CV juniors all finishing in the top 10 with Thomas McKee finishing 5th, despite one of his shoes succumbing to the bogs and him running the course with just one shoe! Ollie Pickins came in 6th and Sam Annison 8th. Charlie Pickins was 1st U13 home, with Tom Owen, Leo Illstone and Fearne Hanson all finishing in the top 10. CV’s Alex Duffield was 2nd U15 with team mates Addison Willis, Elija Paec-Webb, Maya Brunt and Emilia Wright also all finishing in the top 10.